Barns are burning in Blackwood Township, and the Winnebago County Sheriff’s Office realizes they have a firesetter to flush out. The investigation ramps up when a body is found in one of the barns. Meanwhile, deputies are getting disturbing deliveries. Why are they being targeted? 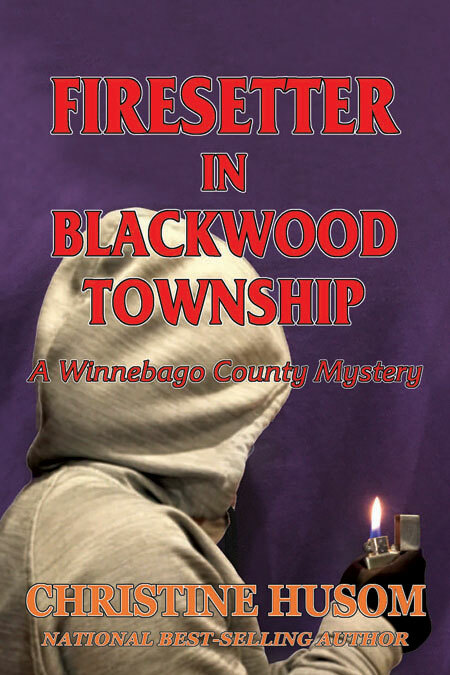 It leaves Sergeant Corinne Aleckson and Detective Elton Dawes to wonder, what is the firesetter’s message and motive? With great hanging questions, compelling characters, along with the gorgeous Minnesota setting, Husom’s book leaves one question–when will the next book come out?